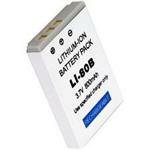 Li-10B: 3.7 volt 1500mAh Li-ION rechargeable battery pack for Olympus and Sanyo digital cameras. Replaces Li-10B, Li-12B. Li-30B: 3.6 volt 650mAh Li-ION battery for Olympus Stylus Verve, Verve Digital, Mini Digital, Mini Digital S cameras, etc. Replaces original # Li-30B. Li-40B : 3.7v 850mAh Li-ION battery for OLYMPUS, Nikon, Fuji, Casio, Kodak, Pentax, and SANYO cameras (see x-ref). Replaces Li-42B, Li-40B, FujiFilm NP-45, Nikon EN-EL10, Casio NP-80, NP-82, Kodak KLIC-7006, Pentax D-L163, D-Li63 etc. 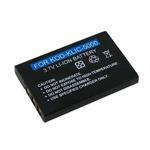 EN-EL10 : 3.7 volt 1200mAh rechargeable Li-ION battery for NIKON, OLYMPUS, FUJI, & Kodak digital cameras. See x-ref list for compatible cameras. Replaces battery #s DLO-40B, Li-42B, Li-40B, FujiFilm NP-45, Nikon EN-EL10, Casio NP-80, Pentax D-Li6 etc. NP-60 : 3.7volt 1100mAh Li-Ion Digital Camera battery. Fits Fuji, Kodak, Olympus, etc. NP-60 : 3.7 volt 1100mAh Li-ION battery for Digital cameras. Fits Fuji, Casio, Kodak, Olympus, Panasonic, Pentax, Ricoh, Samsung models (see x-ref list). 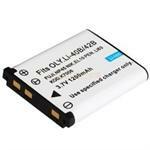 Li-70B: 3.7volt 1100mAh rechargeable Li-ION battery for Olympus digital cameras. Fits FE-4020, FE-4040, VG-110, VG-120, VG-140, VG-160, X-940. Replaces original Li-70B. 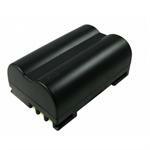 PS-BLL1 : 3.7volt 3600mAh rechargeable Li-ION battery for Olympus E1 cameras. Replaces PS-BLL1, BLL-1. 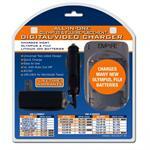 DVU-OLF1 : Smart Charger for Li-ION batteries (Olympus, Fuji). Works from AC or DC power. Charges Li-10B, Li-12B, Li-30B,Li-40B,Li-42B,Li-50B,Li-60B,Li-90B; Fuji NP-30,NP-40,NP-45,NP-50,NP-60,NP-70,NP-80,NP-95,NP-100,NP-120,NP-140,NP-150.